Be sure to follow BVS on Social Media! Founded in Cincinnati, Ohio by Paul J. Bartel the Baroque Violin Shop has grown to accommodate the changing music community by providing services to all fifty states. With one of the largest rental programs, and for sale inventory in the industry, the Baroque Violin Shop offers professionally set­up, high quality instruments for rent or sale, at prices that are extremely competitive across the country. In addition to the rental program the Baroque Violin Shop provides a full line of luthier services, including artistic repairs and restorations. With over three thousand instruments for sale, in stock, the Baroque Violin Shop accommodates the needs of the beginning student to the professional musician. Baroque Violin Shop has the best and one of the biggest rental programs in the country. Although we're based in Cincinnati, we serve all 50 states through online sales and rentals, and our national reps. We don’t believe in renting low quality instruments, but it’s our goal to make it affordable for any student to rent from us. Instead of offering different levels of instruments at varying price points, we only rent the highest quality student instrument because we believe this is crucial to maximizing a student's potential. We work hard to keep our costs low because we believe that cost should not prevent anyone from becoming a musician. A high-quality and professionally set-up instrument actually makes it easier for the student to learn musical techniques and progress faster. Paul J. Bartel has over 40 years of experience in the industry. He received his BFA from Miami University in Oxford, Ohio in 1972 in music education. He began his journey repairing and restoring stringed instruments at his kitchen table in Oxford Ohio during his senior year of college. After graduation the Baroque Violin Shop moved to Bartel’s basement in his Brookville, Indiana. At the time he was a full time orchestra teacher at Finneytown High School, repairing instruments in any spare time he could find. After teaching orchestra at Finneytown High School for seven years, and running the violin shop on the side, Paul wanted to pursue his hobby and passion full time. The Baroque Violin Shop was the perfect combination of his two passions; working with his hands, and the world of strings. Paul also saw an opportunity to support both young students and teachers alike. He wanted to provide high quality instruments at an affordable cost because he had personally seen how playing on low quality instruments dampened the passion of young players. He wanted the Baroque Violin Shop to be a support to teachers as well. He knew they needed a place that could quickly and affordably repair school owned instruments and purchase high quality, affordable instruments for their orchestras. Bartel resigned his teaching position and moved to Cincinnati, full time. He purchased a home in Finneytown, converting the upstairs to a living space for him, his wife, and young son, and the rest of the home was dedicated to the violin shop. Business was good, and Paul needed more space, so in 1990 he purchased the historic Carrie-Jessup house just down the road from his house. He spent 6 months restoring the house and making it The Baroque Violin Shop. Since then he has grown the business exponentially. The shop now has one of the largest rental programs in the country with over 7,000 rented instruments annually, and a massive inventory of instruments of all prices/categories for sale. Two other buildings were later added to the campus. Paul has an unbridled passion for the world of strings. He has an unparalleled knowledge of stringed instruments, and has developed a national reputation as a leader, and educator in his field. He teaches workshops all over the country, and teaches a week long workshop every year at Ohio State. The Baroque Violin Shop is the oldest violin shop in the Cincinnati area. The owner Paul J. Bartel has over 40 years of experience in the industry. Paul started the Baroque Violin Shop over 40 years ago in 1974. The shop is located in the historic Carrie-Jessup House, built in 1805 as a single family home by a veteran of the revolutionary war. Paul purchased the building in 1990, which at the time was being used a veterinary office. Since then the business has grown and two more buildings were purchased to better serve our customers. The Smith-Jessup house now serves as our main office. Paul purchased an old hardware store located next door and transformed it into a full service repair shop with multiple sales rooms and practice spaces. 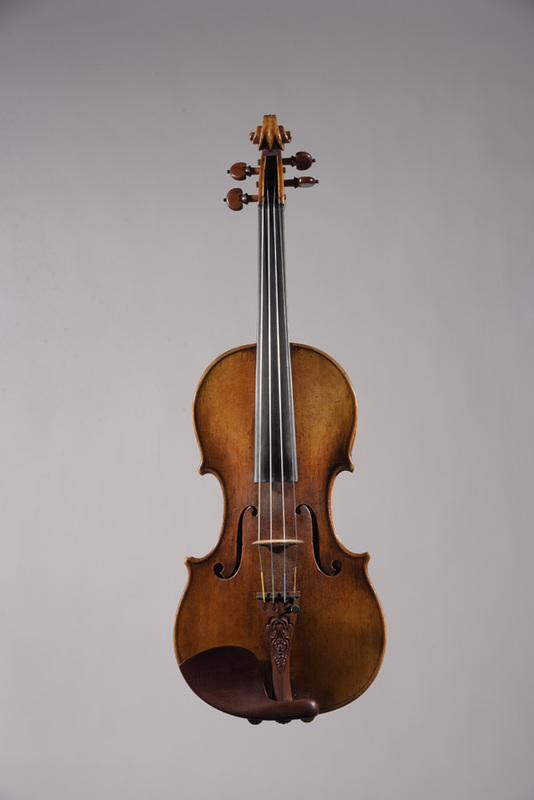 Quite possibly the most unique aspect of the Baroque Violin Shop is the Eckstine Stradivarius. 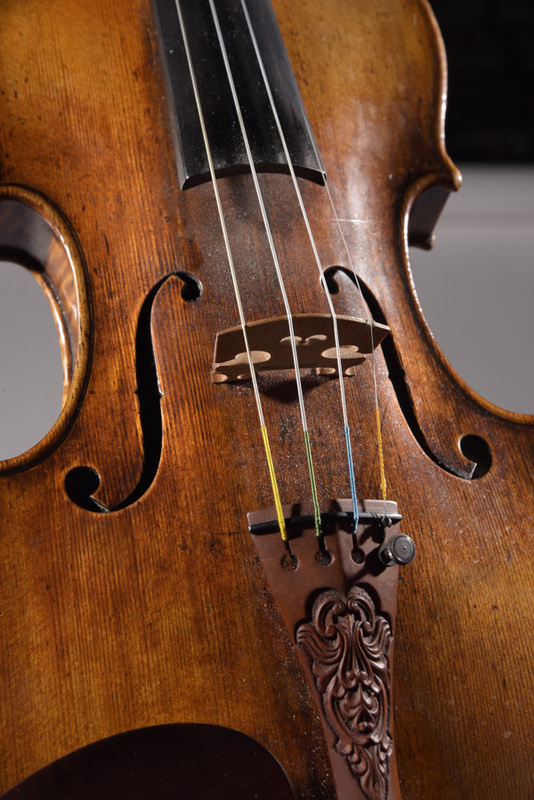 This incredible instrument was crafted by Antonio Stradivarius in 1680.